During 24th-26th was held 8th European cave rescue meeting organized by Corpo nazionale soccorso alpino e speleologico. Meeting is organized by Organizing committee: Roberto Corti, Responsabile Nazionale Soccorso SpeleologicoAlberto Ubertino, vice president of ECRA; Dinko Novosel, Croatian Mountain Rescue Service, Cave rescue commission and Roberto Antonini, Delegato II Zona Soccorso Speleologico. During meeting two technical workshops were organized; Technical workshop by Cristiano Zoppello, Vice Direttore Scuola Nazionale Tecnici di Soccorso Speleologico; Darko Bakšić, President of ECRA and Uroš Ilič, Jamarska reševalna služba JRS and Medical workshop by Dr.Lana Djonlagic, Croatian Mountain Rescue Service, Cave rescue commission and Dr. Ueli Neageli, Speleo Secours Suisse. Program and presentations are attached. Total 90 attendees were registered from 12 countries – United Kingdom, Germany, Poland, Italy, Austria, Suisse, Hungary, Slovenia, Croatia, Serbia, Bulgaria, Romania following organizations: Bavarian Red Cross, British Cave Rescue Council, Corpo Nazionale Soccorso Alpino e Speleologico, CORSA – Corpul Roman Salvaspeo, Gorska Služba Spašavanja Srbije, Höhlenrettungsverbund Deutschland, Hrvatska Gorska Služba Spašavanja – Komisija za speleospašavanje, International Show Caves Association, Jamarska Reševalna Služba, Magyar Barlangi Mentőszolgálat, Österreichische Höhlenrettung, Spasiteljna sluzba v peserah i propasti, Spéléo-Secours Suisse, Bergwacht Bayern and Höhlenrettung Baden-Württemberg. Participant list is attached. During technical workshop a 5 different type stretchers were analyzed, Bulgarian, Suisse, Austrian, French and Italian. Stretcher descriptions are attached. This is the second technical workshop organized during European cave rescue meeting, in a future is planned to issue some sort of manual when it will be enough results and informations. Topics of Medical workshop were Suspension trauma, Microemergenza and analysis from Reisending. Consensus paper from workshops from Paklenica, Jura, Slovenia and Trieste will be published like booklet until next meeting in Suisse. Whole day was dedicated to successful cave rescue operation in Reisending, minutes from discussion are attached. Since informations are not open for public document is locked, authorization to get document needs to be approved. Minutes from ECRA assembly will be disseminate to ECRA countries representatives. 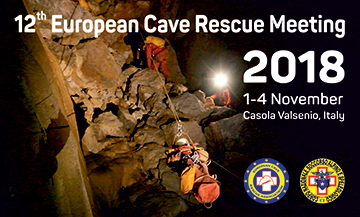 Until now is planed that next ECRA meeting will be together with International cave rescue meeting in Suisse in April 2015.